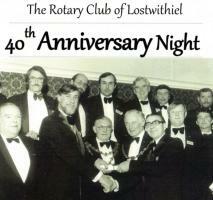 Rotary Club of Lostwithiel - welcome! Please scroll/swipe down through this page to find out more about us, in addition to the pages linked in the menu, top-left. Object of Rotary: To encourage and foster the ideal of service as a basis of worthy enterprise. to have a lot of fun whilst doing it. The club's members have a wide range of professional backgrounds, including engineers, farmers, accountants, publishers, retailers, hauliers and a whole lot more. Some have lived in or around Lostwithiel all their lives and others have relocated from other parts of the country. The diversity which this brings to our club both enlivens our fellowship and enhances our capability to make things happen. 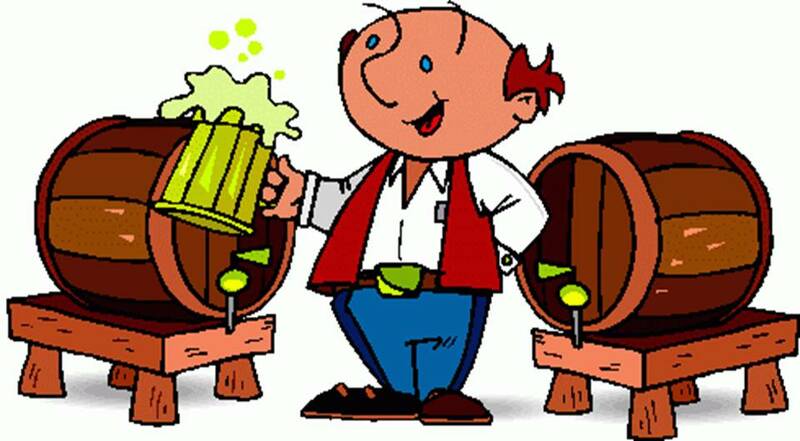 The club meets on Thursday nights at the Royal Oak Inn, a traditional and friendly pub without pretentions, a philosophy that reflects the spirit of our club very well. We are an amiable lot who enjoy socialising (including our Gentlemen's Evening, which is great fun and helps bolster our charity account), but there is much more to Rotary than just wining and dining. 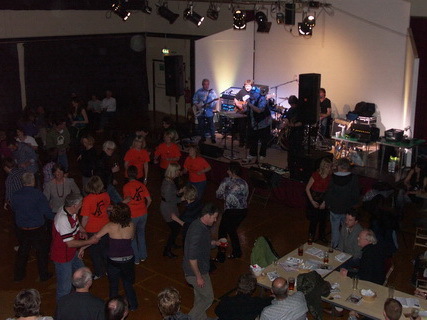 In addition to organising events within Lostwithiel (including Lostwithiel Carnival Week, the Lostwithiel Charity Beer Festival, Fast Throw Darts and the Music Quiz), members of the Rotary Club of Lostwithiel also support initiatives within the wider community that encourage learning and friendship (including providing student bursaries, sponsoring youth leadership training and hosting the Opening Doors to a Brighter Future Careers Event). Club members also fundraise for and take part in overseas humanitarian projects, such as ShelterBox and sending emergency vehicles and equipment to Kosovo). Many club members are also individually supporting the Lostwithiel Memory Cafe and a joint initiative with the Rotary Club of Bodmin has established an Interact Club at Bodmin College. However, our success as a Rotary Club relies greatly on the support of the people of Lostwithiel who give so generously to our charities and who attend our events. Thank you to everyone who has joined the Carnival Parade, or who has danced at the Beer Festival, or who has entered the Pram Race, or who has bought a Duck Race ticket, or who has dropped coins in one of our collection buckets, or who has done anything else to help us. Your assistance, which is given in so many ways, makes us proud to be Rotarians within Lostwithiel. We are only a small club within a little town, but pound-for-pound, Lostwithiel punches well above its weight and, over the years, the town of Lostwithiel has helped us to raise tens of thousands of pounds for charity. Thank you for visiting our site and if you think that you might like to help us with our work or join our club, then please click here to contact us.